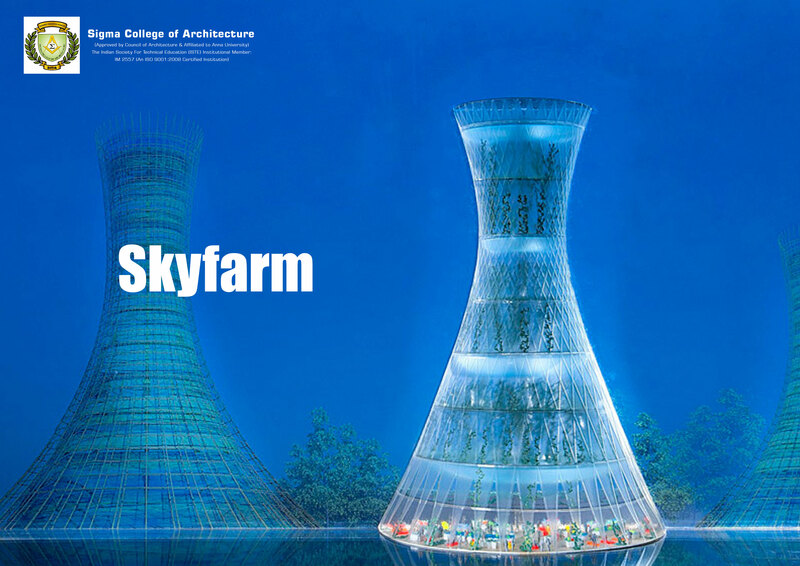 Skyfarm is the name given to the project design for a bamboo-framed vertical farm that could provide an alternative to traditional land-intensive farming. It is a multi-storey hyperboloid structure that integrates different types of farming – ranging from traditional planting to aquaponics – and also produces its own energy. The project won the sustainability prize at the Architectural Review MIPIM Future Projects Awards. It is the brain child of London firm Rogers Stirk Harbour + Partners. The designers also claim that the structure could be integrated into cities, but would also be suited to rural areas where land is scarce or soil quality is low. The proposal currently aims for market and restaurant areas in the ground level of the tower and farming areas would be located above. It also supports aeroponic farming, where plants are grown without soil in a misty mineral-rich environment. The other well-known projects of the designers include the Leadenhall Building and the Stirling Prize-winning Maggie's Centre.